Stock Market Commentary: But What About The Sentiment Readings? But What About The Sentiment Readings? I roll my eyes every time I hear someone saying that this bull market will continue because everyone's so pessimistic. 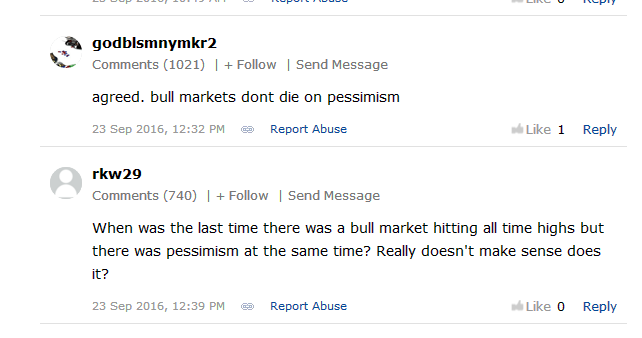 "But bull markets have never died on pessimism before, so that means we'll still keep going up!" is probably going to be the signature stupid comment that'll characterize this segment of stock market history. Read Fooled By Randomness. It's that kind of idiotic thinking, that something has never happened before as the justification for it never happening ever, is the reason markets get hit by a truck. 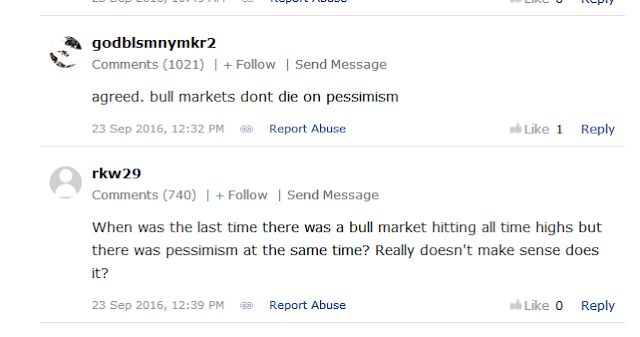 Bull markets don't die on pessimism. Oh yeah? Watch this be the first.